Phillippa Wright is behind the new not-for-profit, community-based co-operative called Pick BOP. 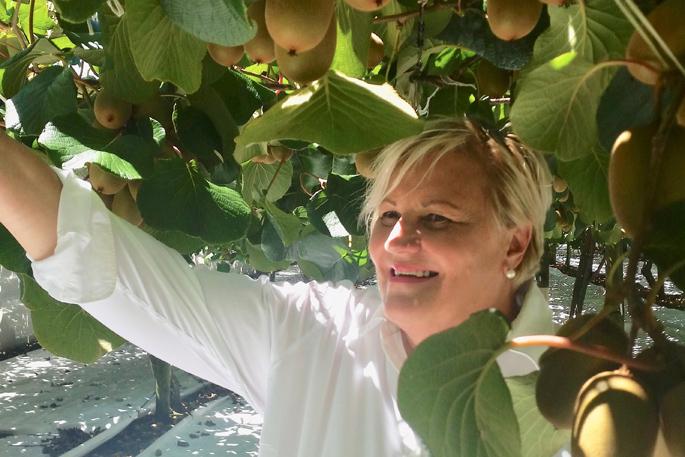 Growers that employ their own staff – and others operating businesses or working in the kiwifruit industry – can now gain advice on employment relations from a newly-formed co-operative based in Te Puke. Phillippa Wright has formed the new, not-for-profit, community-based co-operative called Pick BOP, to help the local horticulture industry lift its game in terms of employment practices. Phillippa, who has 15 years’ experience working in human resources, health and safety, and quality and compliance packhouse roles, says breaches to workers’ rights and confusion about compliance have the potential to affect horticulture’s reputation and bottom line. “We’ve all heard stories of exploited workers and that’s a bad look for the industry and New Zealand exports,” says Phillippa. “Pick BOP is a recruitment office with a commitment to best practice, offering high quality services specific to the horticulture industry. Phillippa says the idea is to give co-operative members access to training and support in areas like recruitment, labour laws and Recognised Seasonal Employer management. The co-operative will keep members up-to-date with the latest regulations and specialist knowledge so they can be confident they are on the right side of the law and are maintaining high standards. “There is a membership fee. Growers email or come in and see me and I then complete an audit with them to ensure they currently have good HR and health and safety practices. “When the audit is complete a recommendation is put forward to the executive committee and they decide if the member is able to join the cooperative,” says Phillippa, who says Pick BOP serves a different role to industry advocacy groups. Pick BOP opened its doors in Te Puke on January 29 and so far has 10 members.